Charlie Bears Herb Discounts Apply ! Designed by Heather Lyell for Charlie Bears 2016 Plush Collection. Herbs Is a hirsute hare! 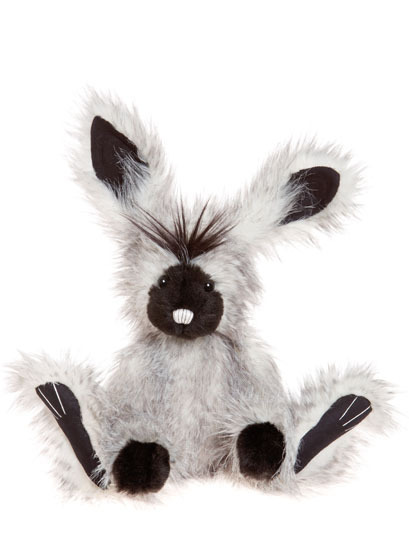 Made from silvery tipped grey plush and has a shock of long pile black plush on his head. Poseable ears and a beautiful hand embroidered nose over stitched with a silver thread. Long hare feet with black paw pads. Glossy eyed and bushy tailed he is perfect for the bunny collectors amongst our collectors. .
Comes with a Label certificate of authenticity attached.